Early Friday morning I get to head up north to a bustling little campground just outside of Flagstaff where a huge community is gathering. The Overland Expo is in it’s 8th year and celebrates people who explore the world. I attended the Expo last year for the first time and was overwhelmed with the amazing vehicles, interesting stories from seasoned travelers and the closeness of the community. Even though most of the people attending travel alone (or as a couple) they tend to embrace other Overlanders as kindred spirits. I won’t be able to get up there until Friday morning, but I can’t wait to see who is there this year. I’m looking forward to seeing friends from last year like @OverlandNomads, @AmericanSahara and @ExplorElements as well meeting some new people. I am also looking forward to seeing some of my favorite vendors like @TADgear and @OverlandGourmet. I’ve been looking to get my camping/overlanding rig outfitted with better gear. So I will be looking for some specific (awesome) gear from Goal Zero Solar, Canyon Coolers and pretty much anyone showing travel trailers. And I’ll be sure to take lots of pictures! “Overlanding is a way to describe exploring by your own means, usually either by vehicle (often with four-wheel-drive capability) or adventure motorcycle. It’s long been a traditional way to describe safaris in Africa or exploring in Australia. Brits head “overland” to Africa and Asia and across the Continent. 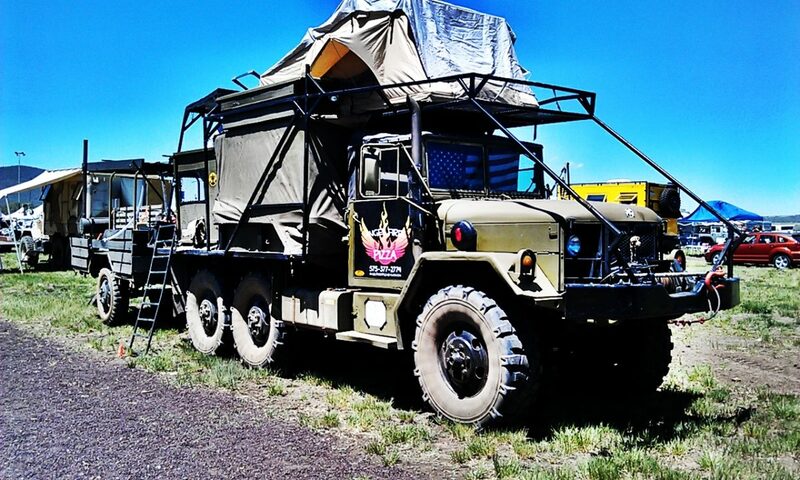 What is the Overland Expo? “Overland Expo is designed as a unique event to introduce consumers to all the innovative equipment for camping and vehicles, and to introduce travel enthusiasts to the pleasures of exploring the world via your own means, whether it’s an old van or a new Land Cruiser or Sportsmobile or BMW motorcycle. Through social events and 85+ programs and classes and over 140 exhibitors, Overland Expo is the largest and most unique event combining adventure travel, vehicles, and motorcycles with education & commerce. I want one of those rigs, there are a few for sale near me, I’ve been tempted to pick one up to do that with, but my wife would kick me out if I did. Me too! That’s why I’m bringing the wife this time. She just might find something SHE likes…then I’m in!